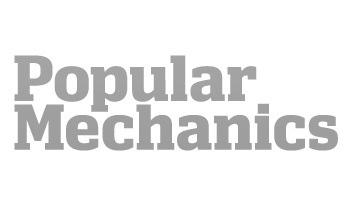 Not for use on public roads. 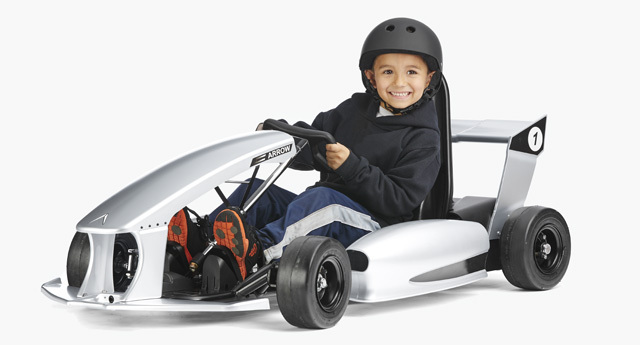 Use only in private areas without vehicle traffic and with constant parental supervision. 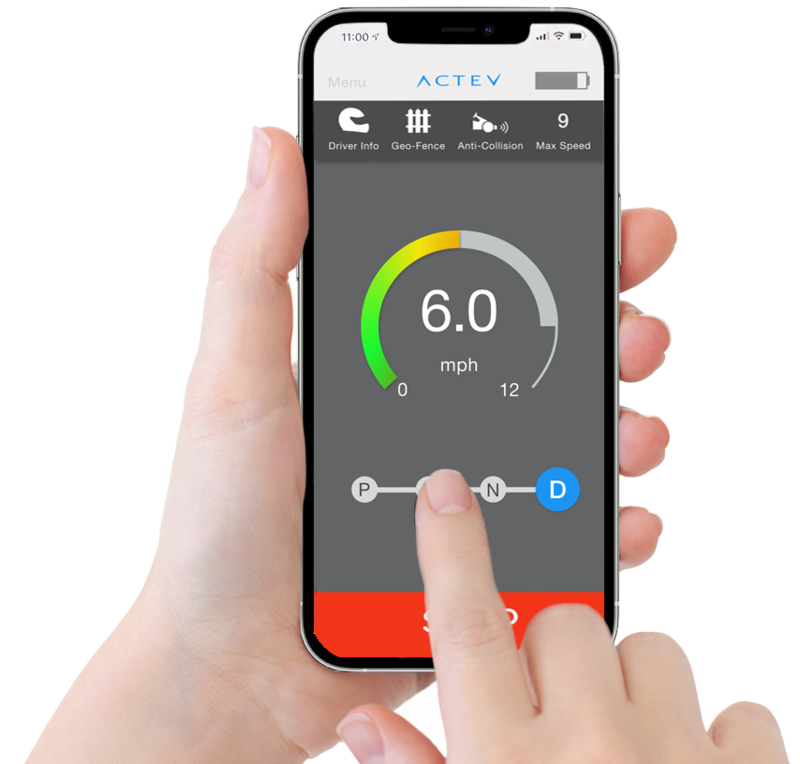 The Actev App (iOS and Android compatible) connects to the Arrow and allows you to remotely stop, control speed, create safe driving zones and more. The Arrow grows with your child, featuring adjustable pedals and app-controlled settings. 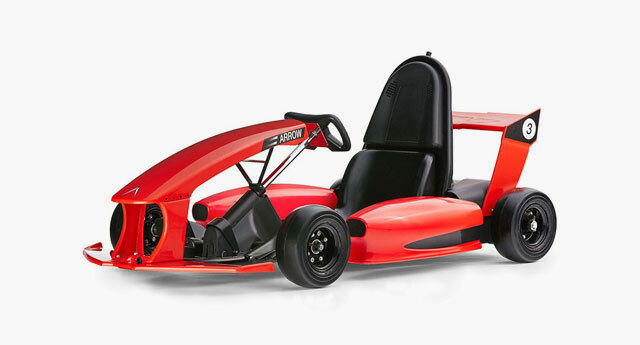 Personalize your Arrow Smart-Kart by adding body kits, accessories and gaming features.